Malleable iron frame with reinforced shoulders. 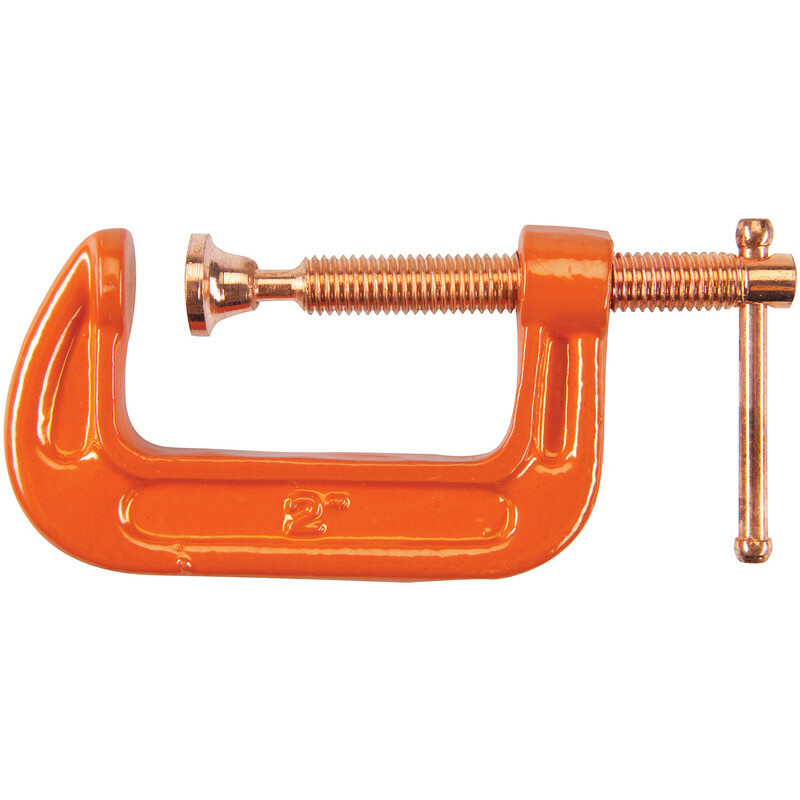 G Clamp 59mm is rated 3.9 out of 5 by 35. Rated 3 out of 5 by williamlw383 from Okay for certain jobs Sorry, can't say this is good quality cause it not. The Swivel is flimsy pressed steel, not as shown in picture. It actually fell off. Because its pressed steel it's hollow so can cut and scratch. I modified with silicon and a washer.. Rated 3 out of 5 by bespokelondon from not as pictured The items I received are not the same as the clamp in the photo, which I have some of already. The clamps sent are smaller (although 45mm is still accurate) blue ones with a more flimsy, pressed swivelling head, meaning they will mark the clamped materials more and fall apart much quicker than the solid head as pictured. Still not bad for the price, but not what I was expecting. Unfortunately I've had to use some of them anyway rather than sending them back as I couldn't wait for replacements. Rated 1 out of 5 by Anonymous from Bad quality. I bought it today. I broke it on first time. Rated 1 out of 5 by Brin82 from Cheap and nasty Clamp jaw made from flimsy pressed steel not robust enough. Returned for a refund.